There are some clarifications that need to be made about the terms of surrender.First, the mass arrest plan is still valid and in full force. The Light forces will not wait for any dark individual or Cabal faction to surrender, they will arrest them as soon as they can do that in a way that is safe for humanity to go through the transition. Those members of the Cabal that surrender before the mass arrests will have more favorable conditions. It is very unlikely that many individual members of the Cabal will surrender before the Event because they fear the revenge from other Cabal members, as they will be perceived as „traitors“. William Tompkins: So I went to work, then, at Douglas, and I’m a draftsman for two weeks, and my Section Chief started through my background. And, of course, it says all of this stuff that I had done in the Navy. So he puts me in this think tank, and there is where we get to the first think tank, okay, – was inside of Douglas in a walled-off area. And there’s 200 guys in it. And we investigate every aspect of extraterrestrial – military, commercial, whatever. 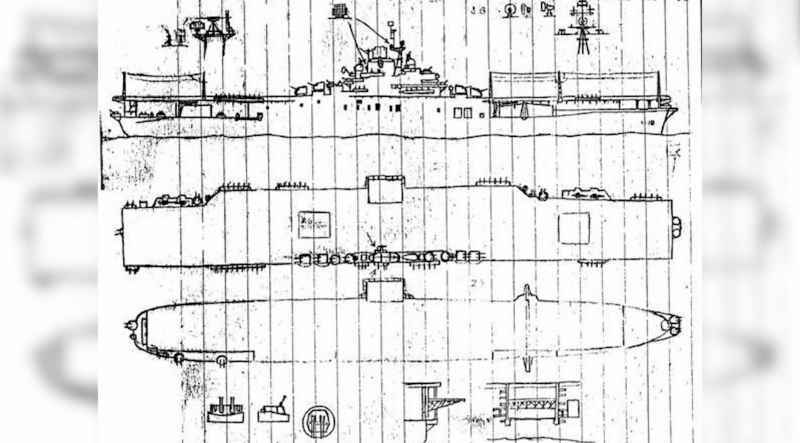 And I was assigned to design for the Navy about 16, 18 different classes of US Navy battle group ships,which didn’t exist. And these were . . . The larger ones were from 1 kilometer to 6 kilometers. These ships fly in space. They’re spacecraft carriers. 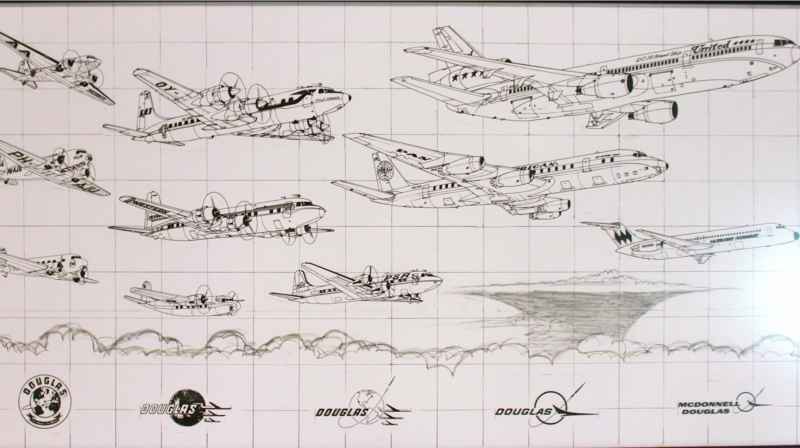 I designed US Navy Spacecraft Carriers, which finally got built back in the late ’70s up in Utah, underneath the ground. 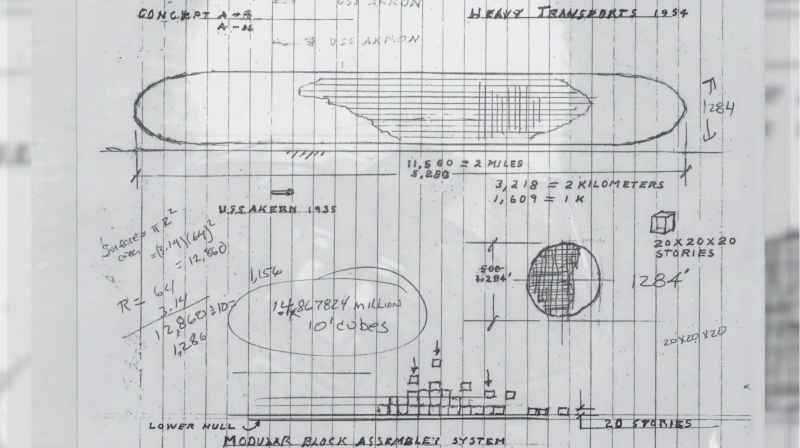 And you’ve seen the pictures of US Navy spaceships – Solar Warden. So Solar Warden came out of a think tank inside of Engineering at Douglas. And a whole lot of other stuff came out. David Wilcock: All right, this is David Wilcock, and you are watching Cosmic Disclosure. I’m here with Corey Goode, and in today’s presentation we have a bombshell for you. We’re going to be interviewing the veteran insider of the Secret Space Program, William Tompkins. I’ve had numerous conversations with him. He’s actually 94 years old, he’s still with us, and his testimony is unbelievable. It validates so many aspects of what Corey and other insiders I’ve spoken to have been saying. Well, here’s a guy who comes out of the World War II era, and his testimony is just going to rock your world. I want to give you a little background, biographical information on him to set this up. So check this out. William was first noticed by the United States Navy when he was just a young boy. 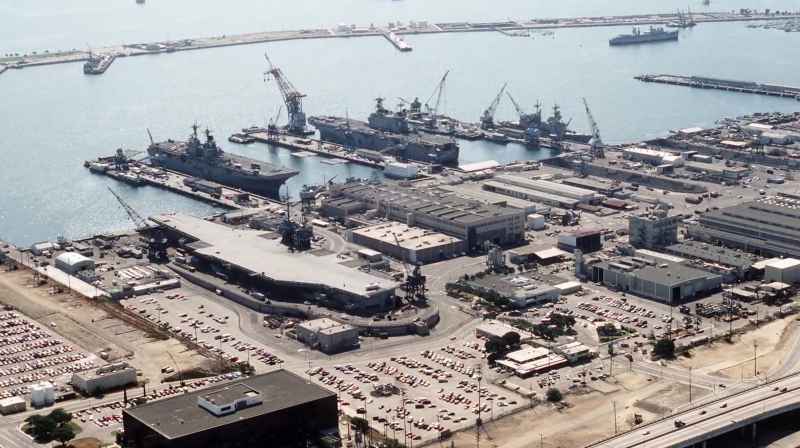 He was living near Long Beach, California at the time, and his father would take William and his brother down every weekend to see many Naval ships that were parked in the harbor there at Long Beach. William Tompkins was a good artist and he was really good at building models. 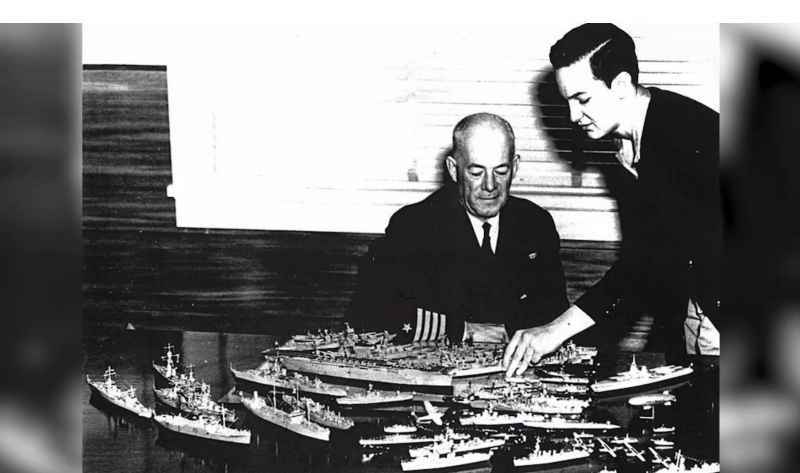 And soon, he started creating scale models of the ships he was visiting. 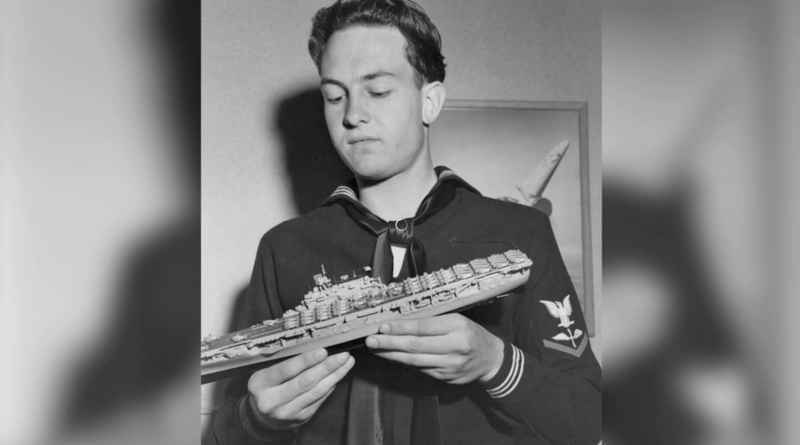 The Navy began taking notice of this brilliant young boy and his models because they were so close to the real thing. But it was when young Bill Tompkins began adding top secret parts to these model ships that the higher brass took real notice of him. 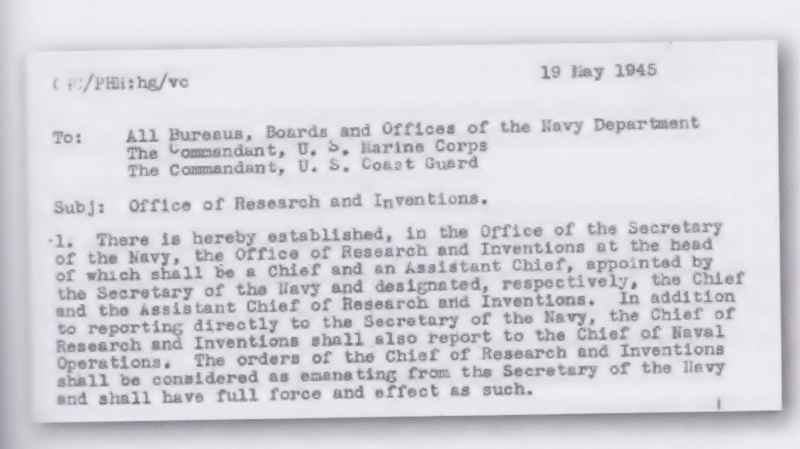 He was then taken into the Navy and was brought into a think tank during World War II. 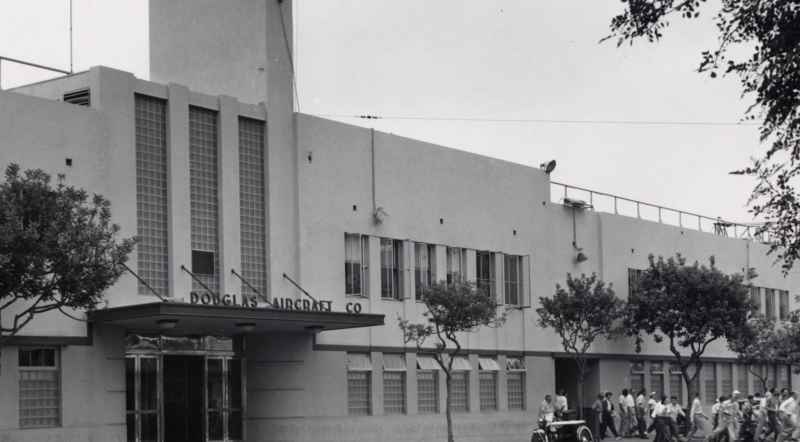 After the war, he went to work for Douglas Aircraft, which is now the defense contractor McDonnell Douglas. If you want more information on William Tompkins’s fascinating background, I encourage you to go to the biographical introduction on William Tompkins that we have here on Gaia. 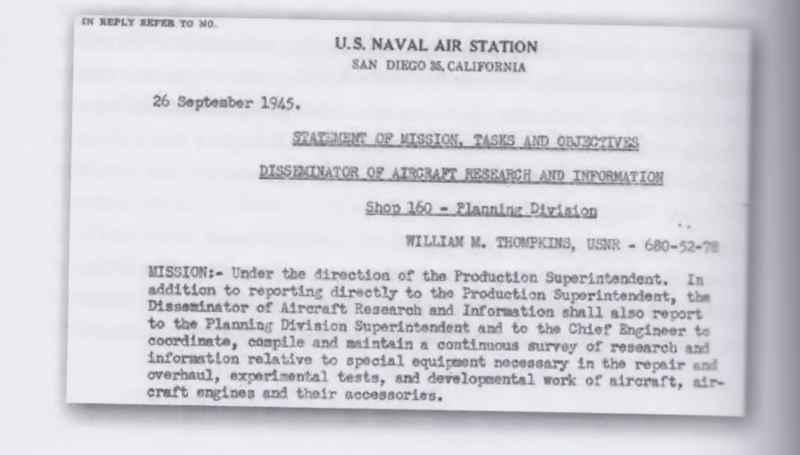 William Tompkins became part of a secret think tank that began to design the ships, the craft, the buildings, and everything they would need for the Secret Space Program. But we want this to start out with a bang, so we’re going to begin by joining William Tompkins as he tells us of his many decades-long journey through the Secret Space Program. He’s going to start out our conversation by telling us how the US Navy began discovering some of the things that the Germans had been inventing since the early 20th century. Tompkins: It’s ’42 – 1942. The war’s on. 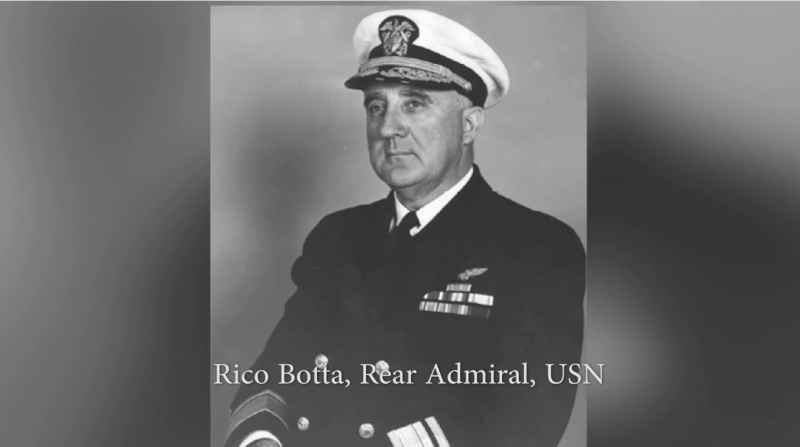 Rico Botta, his hobby is sending these Navy operatives into Germany. They’ve been going all over Germany, and they’re staggered at what they’ve found. 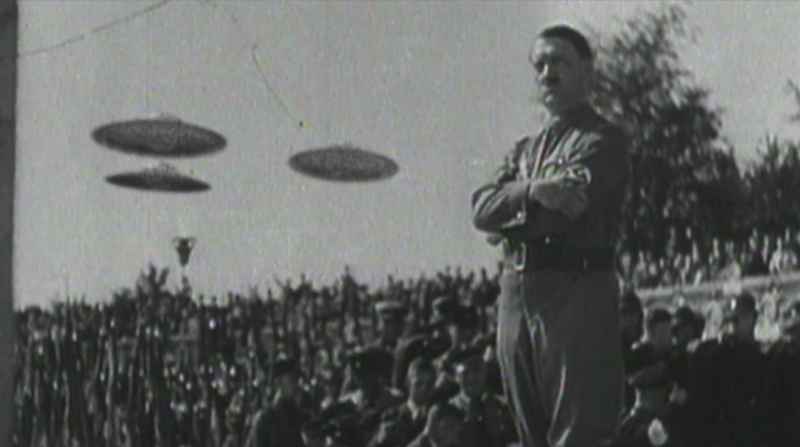 They found that Hitler and the SS made an agreement with reptilian extraterrestrials. They found hundreds of different types of advanced weapons being built. 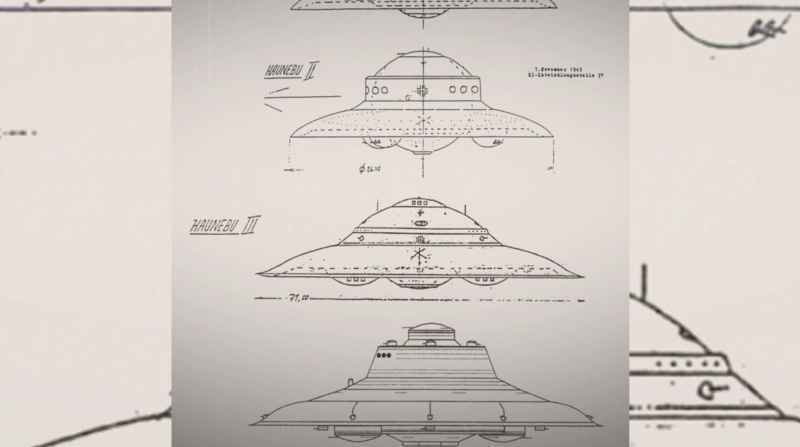 These included 60-foot and 250-foot, 500-foot UFOs – round vehicles, okay? UFOs. They built some of these out of chromoly steel that would weigh tons and tons and tons. 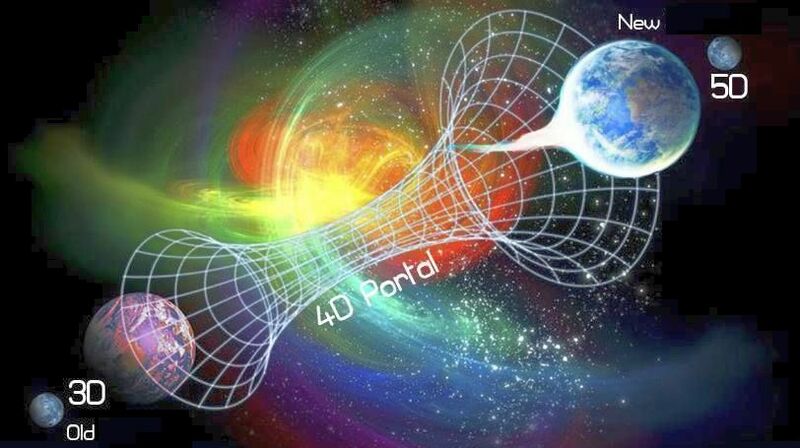 They had developed, or they had been given, electromagnetic anti-gravitational propulsion by the reptilians. 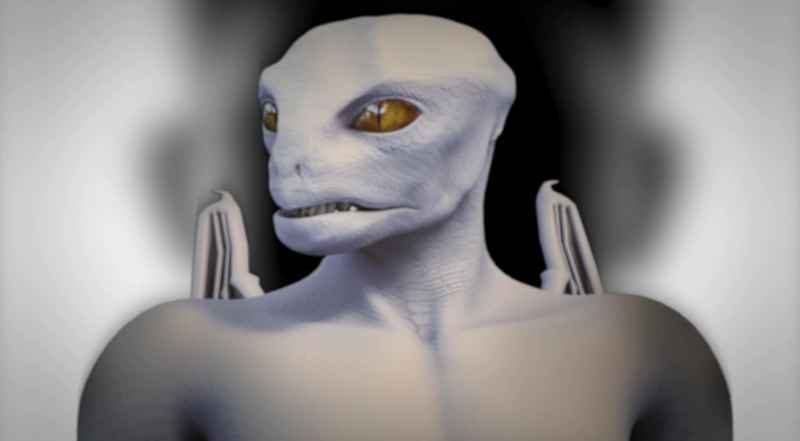 The agreement turned out that they were to develop a parallel space Navy that the reptilians had and operate out through the galaxy, with the reptilians taking over planets, enslaving the people on the planets. But what they had already accomplished was really strange. 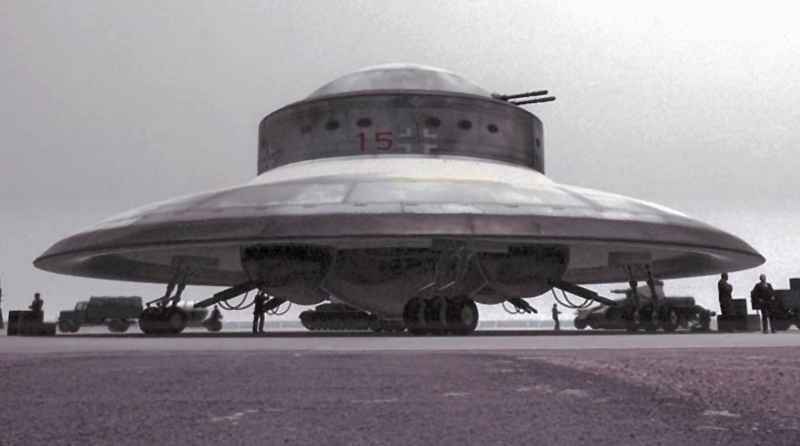 They have all these UFOs, different types of propulsion that were unbelievable, laser weapons systems – unbelievable stuff – all over the country – Germany and the occupied areas. 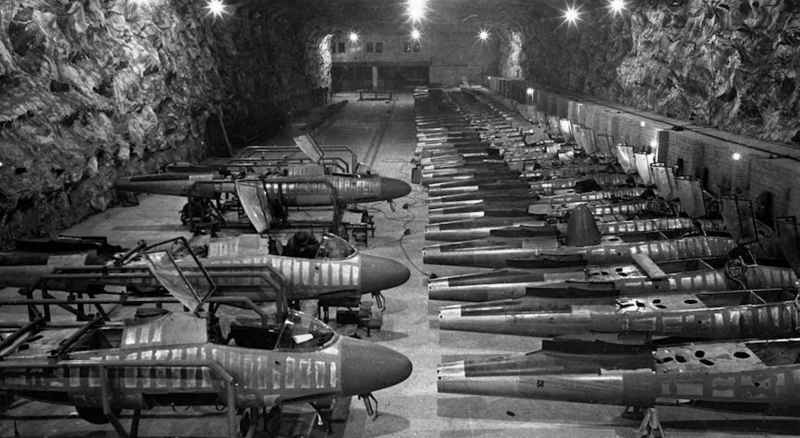 They had massive underground production facilities that they were using – they had developed – for regular arms waste, like tanks and places to build Navy ships and all this kind of stuff. Most of it was underground. 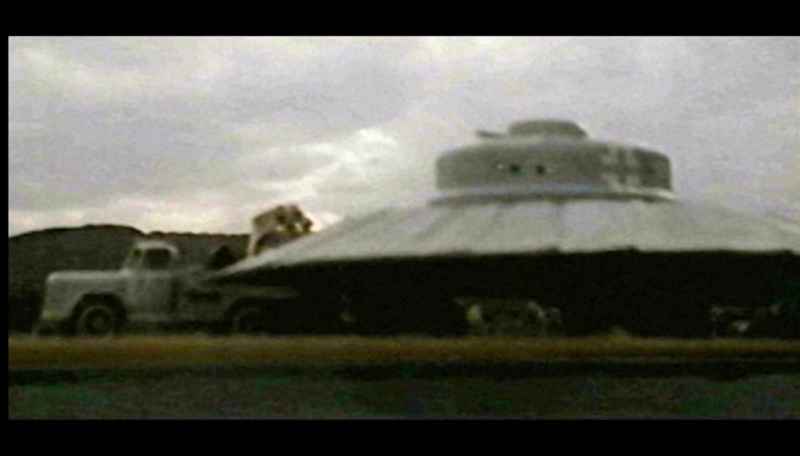 So they started expanding those facilities, and they put 11 of these UFO-shaped vehicles in production. So the operatives are trying to explain to us, and the admiral would back off and say, “Slow down. I don’t believe you.” And that went on, and then the captains would say the same thing. The operatives were nice guys, and they knew they were going to get the questions when they got back into the admiral’s office, and they knew that nobody was going to believe what they said. So fortunately, the admiral had a typist in there, and the admiral’s aide was NOT in there – he wasn’t even cleared to be in there. And one or two of the captains, the admiral, and myself. And we were the ones – the only people that this information was given to by the operatives. I want to step back to my job in the Navy there working for Admiral Rico Botta. We talked about my mission – not my job, my mission. It’s documented, okay? It’s written by the Secretary of Navy Forrestal, who became the number one guy in the military. Then he, like several other people, including our president at that time, were talking to a lot of other people. And so he was supposed to have had a mental breakdown, so they took him to the hospital there in Washington at the top floor and pushed him out the window. And so that’s the guy that wrote Admiral Rico Botta’s mission, which my mission came from his. That was the level of this information in the United States. 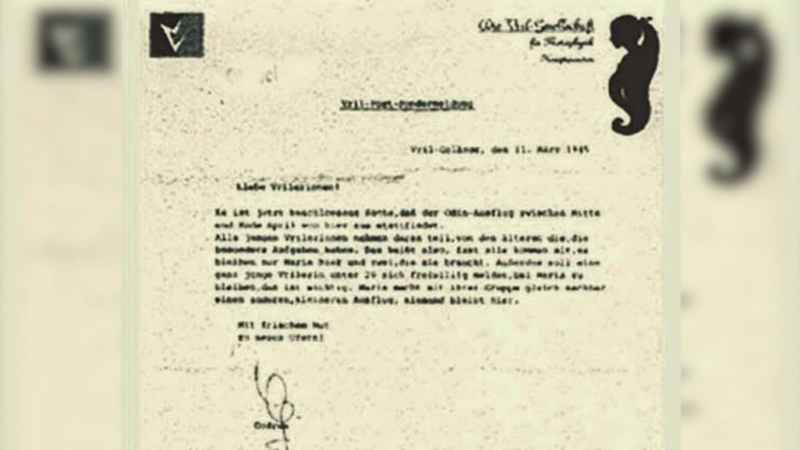 Now, no other country but Germany knew about the extraterrestrials. Nobody did. Now, as this starts to unveil the reality of what Germany was doing, it was like, the war is going to be over, period. They’re going to take the whole planet, and they could do it in five minutes. They even had trained a group of soldiers – an entire battalion of them – who were cloned. They had cloned a whole battle group of soldiers. They sent them out front, and they were killing the Russians unbelievably. So it’s not just the material, but the – and advanced medical systems, longer lives. The size and the magnitude of what was taking place was unbelievable to everybody that got involved in the program. 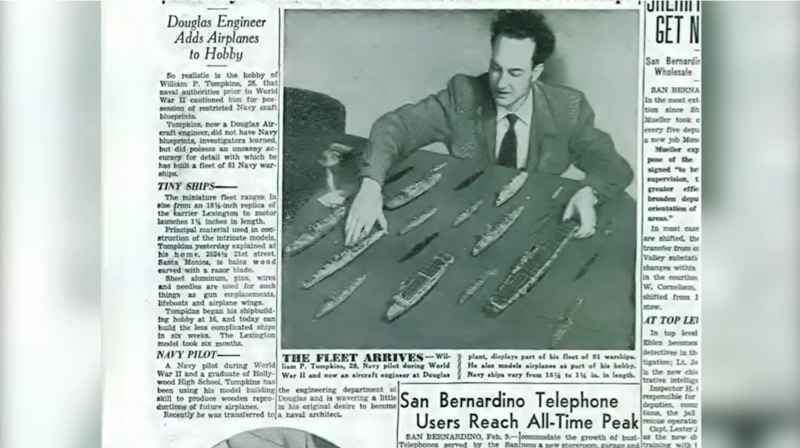 The SS found out that people could live longer, so there was another big massive program in pieces brought back by the Navy operatives [and] plopped it on the table in front of Admiral Rico Botta. And, of course, that ended up with about 24 packages because of the different magnitudes of living longer. And I guess if you asked the question for the Nordics, their comparable lifespans are 1,400 to 2,200 years. But they look exactly like us. There is a study that we did later on at TRW on advanced life systems – extended life. And that program is down now to, within less than two years, it’s going to be available to some people on this planet. The way it works – I’m very involved with it – essentially you take four aspirin over six months, pop them. Or you get four shots. You immediately change – everything is nicer. Everything is nicer. Okay? What you do is you revert back to – the girl is 21 and the guy is 29. Now, it takes a while for you to do this. You then stay at that time for essentially a couple of thousand years. Your brain then . . . which collectively we’re only using 2.2% of our brain. I don’t care what they’re telling us. We’re only using 2.2%. You get a minimum of 400% capability over what you normally had. Now, what this does is this allows you to contribute. It allows you to contribute. You go to work for the company here, 20 years they give you the watch, and you’ve got a couple three years later on, and you’re out of the picture. Okay? So you didn’t contribute very long, all right? Now, you’re living two thousand years, and you can contribute and you also can have fun for 2,000 years. And you don’t change age. You stay there. Five of the top medical research groups – just like Scripps right here in San Diego – are involved in this. And there’s hundreds of companies involved in this. There’s a whole lot out there that is being removed from our part of our life. And we are in this position where everything that we’ve been taught – whether it’s in the university or in medical or in any technical field, even mathematics – is baloney. Yet, because we have allowed reptilians to put the stuff in our minds, it removes our capability to operate, learn. Our entire history – all the way back thousands of years – has been being controlled. We now know this. This is not something that we think could happen. We now KNOW this. So if you look at countries – you looked at the Roman times and you see . . . If you take in parallel these events back with that, the Romans were being mind-controlled. They had the elite group, and they had all of the army, and then they had the slaves. And that’s where we are now. We’re just finding out about this and we need to fix it. David: All right. Well, as you just saw, that’s a very dense amount of information that we’ve just gotten. It’s unbelievable. If you’ve been paying close attention to the show before, you’ve seen other episodes, then you’re already aware of how much validation we’ve been getting there. So here to discuss more about these details with me is Corey Goode. Corey, welcome to the show. David: So, first of all, we have Tompkins starting out, working from 1942 to 1946, actually debriefing these 29 spies that were embedded in Nazi Germany a total of 1,200 times. And he said that they had experienced this German Secret Space Program firsthand, and that the Germans had cut a deal with reptilians. So just to start with that, how did you feel when someone comes forward and validates such a key part of your testimony on this show? Corey: Well, I have to say it’s gratifying, especially after knowing that he – I was told – has no idea who I am, couldn’t pick me out of a crowd. So you know, this is leading me to believe that his program is what fed the data into – or some of the data – into these smart glass pads. Corey: So I was most likely reading the results of his briefings. 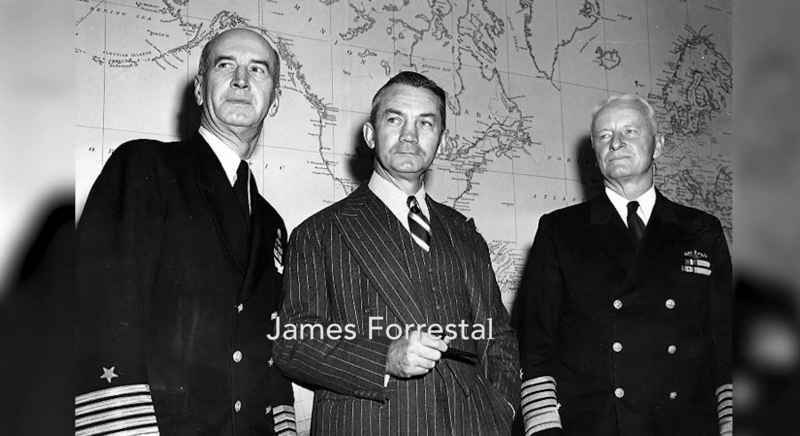 David: Now, when we are talking about somebody like Secretary James Forrestal being pushed out the top floor of a building in the course of setting up this work, is that a common thing? Is there a short life expectancy for people that get into these programs? Corey: Well, yes, and a lot of it depends on whether you toe the line or not. If you don’t toe the line, then things – I mean, they’re not afraid to take out a president, let alone a former – was he head of the Navy? David: Yeah, he was Secretary of Defense. Corey: Oh, Secretary of Defense? Corey: Wow! So, I mean, since to them this secret is higher than the nuclear bomb, any other secret, then they think any of this type of retaliation on people that open their mouths or don’t toe the line is justified. David: Now, he said that Admiral Rico Botta’s aide wasn’t even cleared to have access to this information. That might strike some people a little strangely. Do you think that there are other precedents for that, in your own experience? Corey: I saw that kind of thing happen all the time. You’d be in a briefing and they’d give a pre-briefing, and then they would have 5, 10 people have to get up and leave the room . . .
Corey: . . . because they were not cleared for the rest of the information. Corey: So I’ve seen that kind of thing happen a lot of times. David: He also said that Admiral Rico Botta was constantly calling BS about the testimony that he was hearing, that it was just so fantastic-sounding, so hard to believe. And he said that the Germans were the only people, the only country at the time, that really knew about extraterrestrials back then. So did you find that this wow factor was a fairly consistent element, that people just have a really hard time processing this when they first encounter this information? Corey: Oh, yeah, absolutely. I mean, case in point, when I came out talking about being regressed 20 years, serving in a 20-year space program, I felt the same way. People were just . . . This is just too incredible to entertain. David: Now, he also discusses in this short clip that we just saw, Nordics. And if you read his book, he’s describing intensive encounters that he has later with Nordics, and we’re going to have some interview footage on that later on. But was it interesting to you, as well, to hear him mention that aspect of things? Corey: Yes, because the Germans were in contact and working hard alongside the reptilians, as he stated. 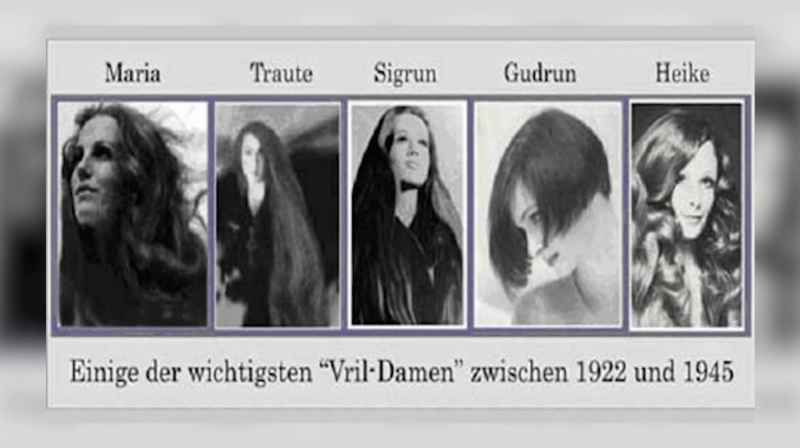 But there were Nordic groups involved as well, that different elements of the German Space Program were in contact with. David: Right. Now, he mentioned that the Germans with the help of . . . He just calls them the reptilians. He didn’t say ‘Draco’, So we’ll just use that term. 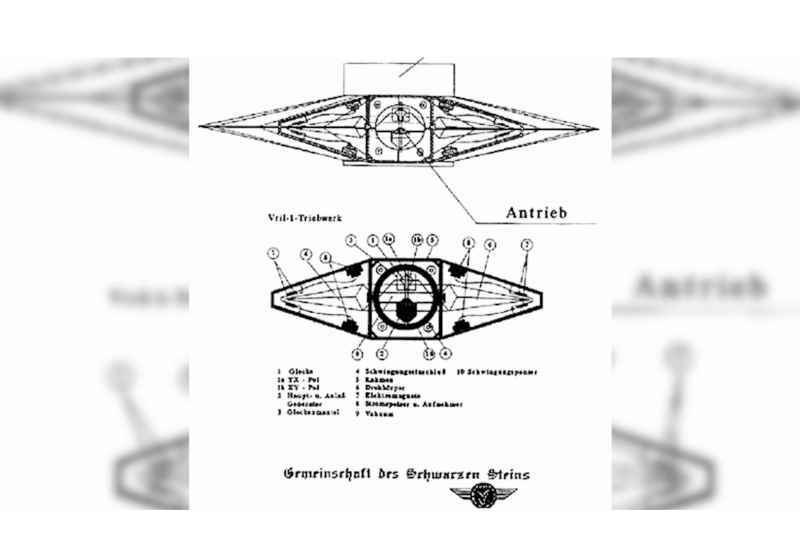 The Germans with the reptilians were creating a space Navy, and that their goal was to not just worry about conquering the Earth, but to use the material and the personnel of Nazi Germany to create an interplanetary, interstellar conquering army. What was your feeling when you heard that? Corey: I was a little bit shocked, knowing that he doesn’t know anything about my testimony And I’ve reported the genesis of what we are calling the Dark Fleet for a while, and this is exactly the genesis. They are working mainly outside of the solar system, working alongside the reptilians for defending territory and conquering new territory. That was their mandate. David: It seems hard for me, just personally, to understand why people on Earth would give a darn about conquering other worlds if they only found out those other worlds existed a few years ago. Do you think this is more of just something the Draco talked them into, as part of the deal? Corey: That was a part of the deal. David: . . . to get to the technology? David: Because why would the Germans care about other planets? They don’t know anything about this. They’d have no background in it. Corey: Well, I mean, if you were 1930, ’40 era, had that consciousness and perception of the world and you were told that all of this stuff was out there, that might change. You might become VERY eager to get out there and see it. And if you are from a conquering kind of mentality force, hey, all the more better for the reptilians and their goals. David: So he also said that the Nordics would live between 1,400 years to 2,200 years long. Now, that’s over 10 times, maybe even 20 times, a normal human lifespan. Some people are going to have some trouble with that. Have you seen any information that corroborates that detail? Corey: Yeah, we’re talking like, two or three times the age of Methuselah. Ha. Corey: So, yeah, that . . . I mean that is actually pretty common out there in the cosmos. Once they’ve gotten to a certain technological place of development, they . . . the human body is extremely easy to manipulate, heal and all kinds of stuff medically. So the bodies of these non-terrestrials, I would assume is similar. And if they can travel across space, they’ve definitely looked inward and figured out their own genome and how to manipulate it. David: Now, another thing that might be contentious for some people that they’re going to have trouble believing is his testimony that the Germans were actually cloning soldiers, and that clones were being used in combat during World War II. What’s your response to that aspect of this? Corey: Well, I hadn’t . . . That’s new to me – that part. Corey: But I do know that there was cloning going on later on, that I read about, that the Germans were doing and that the Americans started doing as well in underground bases in these so-called NBC or biological weapons facilities. They were working on and doing a lot of cloning. David: And speaking of these underground facilities, he said that the Germans were building these discs in several of them, and he also said there were several different prototypes that would go up to 500 feet wide. David: Is that consistent with what you’ve heard? Corey: Our shipping yards, or whatever, for when we were building our earlier craft? It was done in the same manner – in underground . . . that I was briefed about. 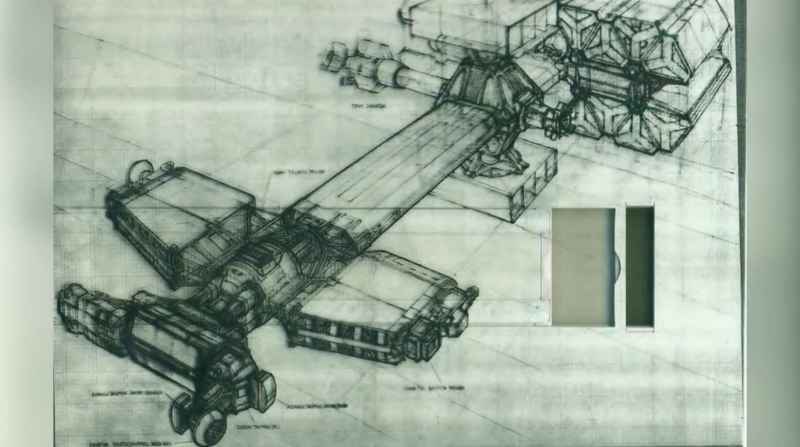 They were in huge underground caves, and they were building them in sections, and putting them together and then flying them out into space. 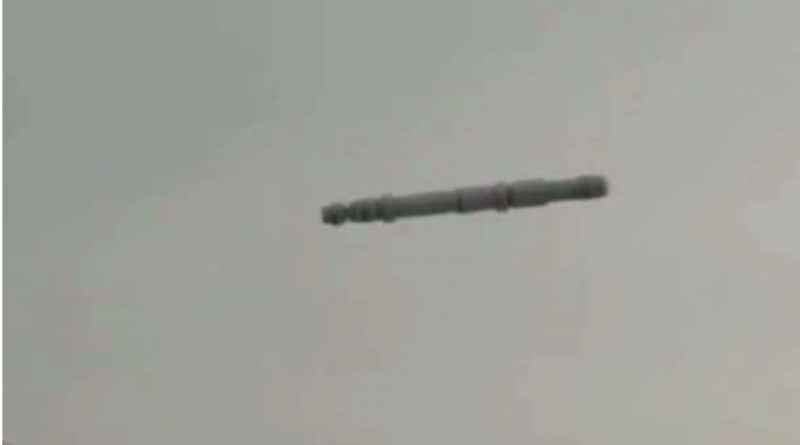 David: Is the craft being as wide as 500 feet consistent with what you have heard? David: Okay. And what about the chromoly steel that he mentioned? Corey: That, I had heard. The ships were incredibly dense and heavy because they were using that era of material science. 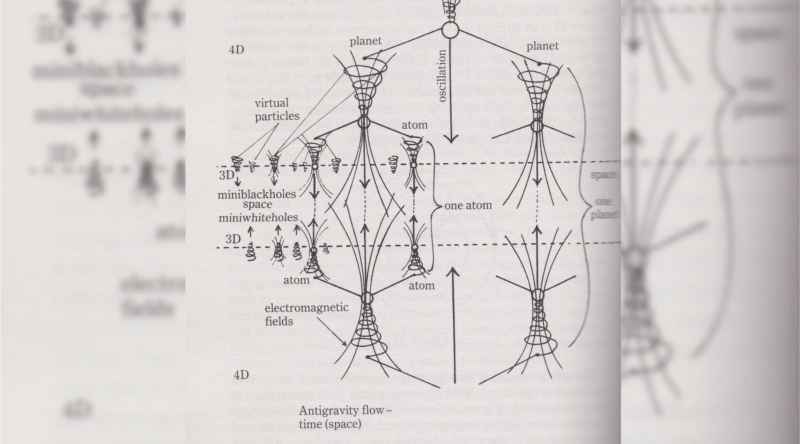 But they started developing material science, and within 20 years or so they were having craft very similar to non-terrestrial craft that we would run across, to where you could pick it up with one hand and rock it. Corey: But I don’t think it was quite there, but they developed quite a bit in their material science to make them lighter. But the weight really doesn’t matter when you have the torsion or gravity-canceling technology. It could weigh 1,000 tons and once they turn it on, it doesn’t matter. David: Sure. Now, he also said something that again, people may have trouble with, especially the more skeptically-inclined, and that would be . . . He said that within two years, we could have a life extension system released to certain individuals, in which you take four pills or four shots over the course of six months. And he’s saying some pretty outrageous stuff. He’s saying that you’re going to get a 400% IQ boost, that your age reverts to about 29, and that you then stay that way for like 2,000 years, and everything becomes better, and you feel better. Your life just is enhanced. Does a technology like that exist that you’re aware of? Corey: Yes, and as I have stated in the past, some of the technology in some form was used on me at the end of the 20 years, when they age regressed me all the way back to the 16, 17-year-old range. David: But you’re not staying at 15, 17 years old? David: And you’re not living for 2,000 years, obviously. Corey: Right. But this is more of a maintenance kind of . . . If I was getting these chemicals on a semi-regular basis, most likely that would occur. And that’s one of the things about these programs. They want to make people reliant on who’s running the program, to come back for more shots, pills, whatever. David: Well, and I’ll tell you, Corey, one of the things about this that concerns me, and I want to put this on camera, because I think it’s very important, is that the space program insider, Jacob, he described to me that they – the Cabal – are going to try to get humanity to accept shots that will extend lifespan. 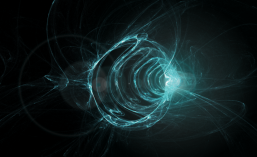 But he told me that there were going to be nanites in it, and that we would actually become merged with AI. So do you think that could be how this works? Corey: That’s most likely a type of scenario . . . You know, these are not real good-hearted people that are going to . . . If they’ve kept this technology hidden for 80 years or whatever, why are they all of a sudden going to become all benevolent and give out life extension? There’s always a catch with these people, so there’s probably some sort of Trojan horse in the shots, just like most of the shots that people get now. David: Do you know of a way that this could work that doesn’t involve AI and nanites? Corey: Well, I mean yeah, it obviously worked for me without nanites. Corey: I think to get me so quickly down to the age that they needed, they did a little bit different method. I wasn’t taking pills. They did it intravenously. Corey: But I only witnessed a pharmaceutical application to what happened at the end of my service. I passed out and all that afterwards. The fact that he’s talking about telomere manipulation and that type of a pharmaceutical innovation to help people extend their life, that’s pretty good details that I hadn’t had before. David: Let me ask you this. Is there a way that if this technology does come out, that we could test it for nanites? Or could we shock it somehow with electricity or something so that if there were nanites in it that they wouldn’t be able to work? Corey: Yeah. Both of those are true. They could test them for nanites or just to not have to worry about it. They could take all of the samples through and hit it with an electrical charge. That’s unless introducing electricity is going to change something in the chemical. David: Right. So we don’t necessarily have to have a xenophobic attitude about this. If there is a technology that’s benevolent, that comes out from the good guys, we can potentially use it, but we just have to have certain safeguards and caveats in place. Corey: Right, and unless mortality was staring me in the face, I would probably sit back and let a few other people try it first. David: All right, so now what we’re going to do is we’re going to show you another clip that gets into some of the more interesting aspects of Maria Orsic and the whole Nordic aspect of what Tompkins’ testimony has to offer us. So check that out. William Tompkins: So we had a young girl, Nordic, just outside of Germany. Some people talked to her, and they said, you are now involved in a new program. And you’re going to have great support in this program. She had developed with . . . I think she had eight girls. They were continually talked to telepathically to go and design spaceships. The little blonde actually built them. And eventually, two of those got over here in Area 51. 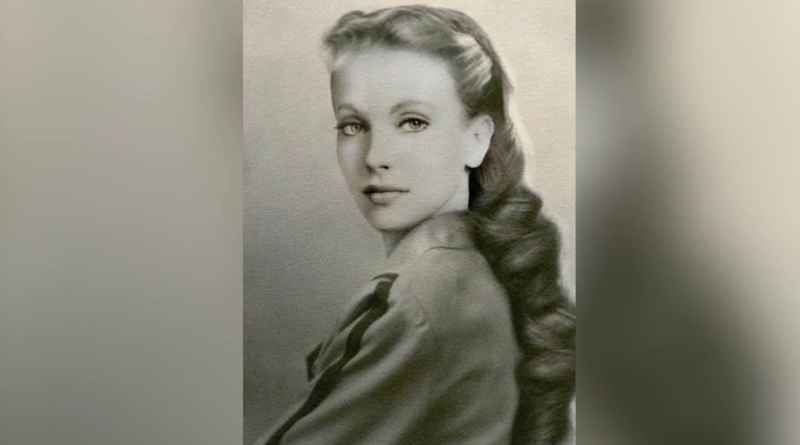 But Germany found out about the blonde, took her over, stopped everything, and then got to this point where there was some sort of pressurized program by the SS to control that original group. Now, several times they did work together, but Hitler allowed them to operate independently of the whole SS program – the whole development. So we had two developments going on in Germany. The girls didn’t want their vehicles to be used for anything else but travel. They were afraid that somebody would get a hold of it and they’d use it for military, which is, of course, what they got. But the girls finally ended up in Antarctica, in the large facilities. In fact, the reptilians had three massive caverns. They let Germany use two small ones, but when you’re talking about small, it’s like as big as California. So there’s cities in both the extraterrestrial caverns, and manufacturing everything that you would need on a planet. So then Hitler’s group did the same thing. Four years before the war was over, it was decided that the war could possibly be lost, but if we win it, we still need to get out of the area because the Allies are going to bomb us off of the Earth, and there won’t be anything here left for us. So they decided to move everything to Antarctica. Admiral Byrd . . . They were going down there and they were going to take out the whole thing in one week. The top people in every area of the Navy – best aircraft, best ships, best weapons, everything. And five weeks later, things didn’t look very good. When we got down there, they had decided they were going to have one thrust from the west side of Antarctica, and then the opposite side coming into both of them towards the center of the continent. And so before we even got all the guys around and I’m talking about big four-engine flying boats, okay, and ships, battleships and destroyers and submarines and you name it. Before they got there, these fairly large – they were 100-foot diameter saucers – came up out of the ocean and took down everything. 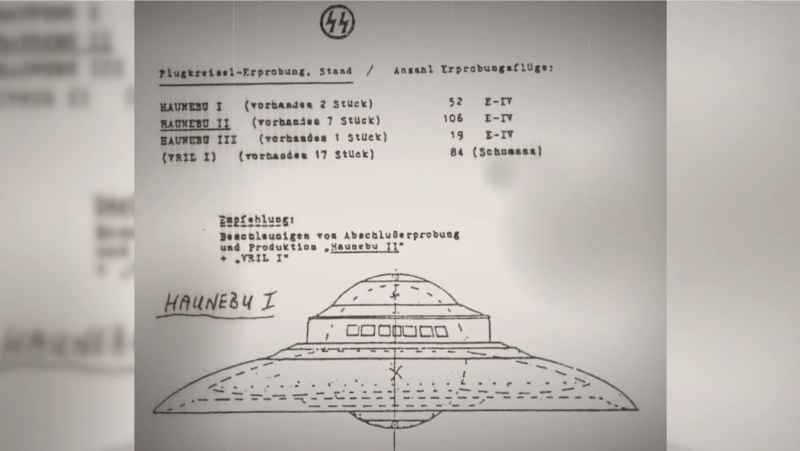 Now, there’s a misnomer on some documentations about the photographs of some of the German UFOs. Many of the close-ups give you a real clear picture of the cross on them. What was partially incorrect in that information that’s been released was that not all of the vehicles came up out from the German side to take out ours. 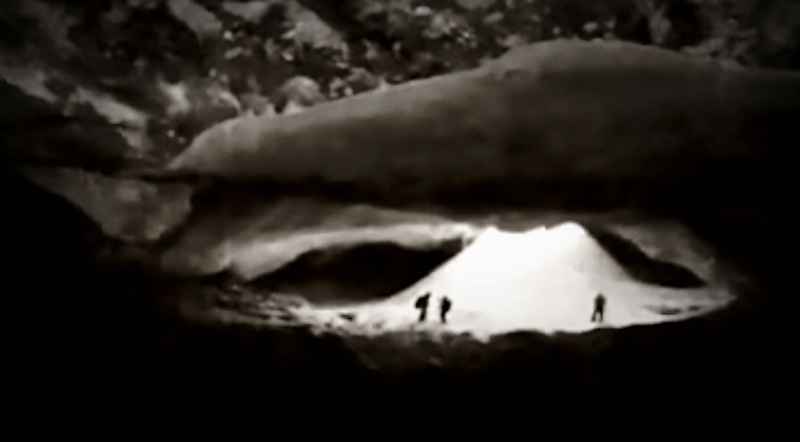 But from the large caverns adjacent to them, unmarked UFOs and unmarked cigars came up, which then it was a joint venture by the extraterrestrials that lived there, operated from there, and built the vehicles that went to the Moon and Mars and all these other places. But we lost that war. David: Now, when he talks about Maria Orsic, we’re dealing with what he said to be Nordics. 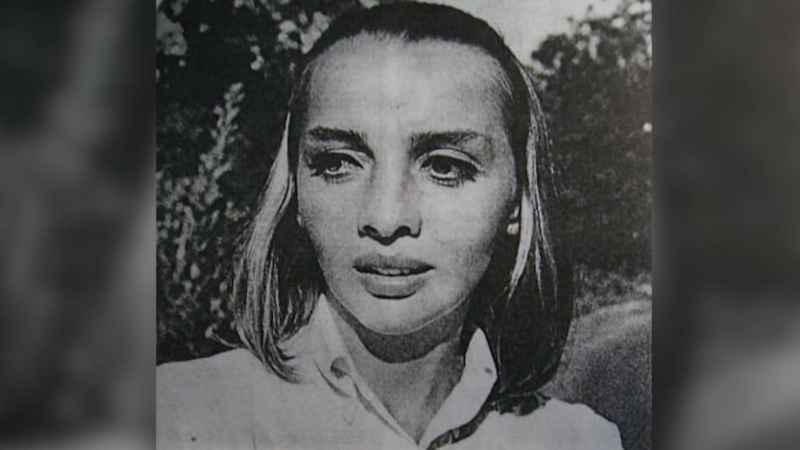 Is your understanding that Maria Orsic was in fact a Nordic here on Earth and not a human born on Earth? Corey: No. My understanding was that she made contact with several groups, one of them being Nordics. Corey: And she was the conduit for the Nordic people, that they were in contact with. David: So she may have looked like them, but she was born here. Corey: Yeah, every one of the people in her group, they were very beautiful. People would turn their heads if they walked by, you know, real long hair. 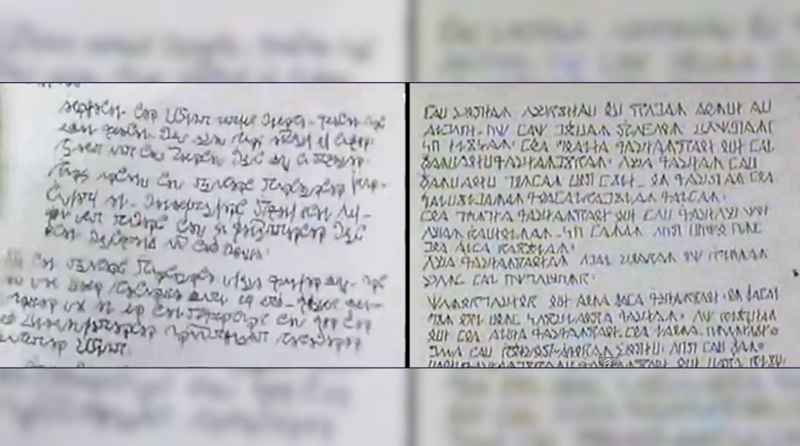 David: Now, we’ve heard from other sources that Maria Orsic was actually starting out this work doing automatic writing, and that she was, in fact, writing Sumerian language. And there were only three people on Earth who could correctly read it, and the Germans brought them in and validated that, in fact, that was accurate Sumerian writing. Corey: And the same sources that she got the automatic writing communication from guided her in doing sketches and to look for certain ancient documents that would help them . . . give them a boost in their development. David: Now, I thought there was something interesting in there as well, which was that Maria’s team only wanted these vehicles to be used for transportation. They were not wanting it to become a military application. That would suggest that whoever was helping her probably was not the Draco, but might have been some kind of benevolent group like these so-called Nordics. David: So what are your feelings on that? Corey: Well, that’s usually what happens. If a negative non-terrestrial or entity makes contact with leaders of a certain group, then very often, either through like they did with Maria Orsic, or directly face-to-face, the benevolent groups come in and warn them and try to give them pretty much a hippie love and peace message. You know, get rid of all your nukes, and we’ll give you all this technology – extended life, travel throughout the cosmos, everything. And the military minds just couldn’t accept that. David: And I know that in William’s book, he describes that there were a series of people beginning in the late 1800s that were all getting telepathically contacted independently and were all getting this initiative for a space program. So do you think that these benevolent beings knew that the Space Program would be co-opted by the negative, but also, were they wise enough to see that we needed to have this for the time that we’re in now, so that we could also ultimately use those tools to defeat the Draco and help kick-start us into this Ascension/Golden Age? Corey: From what I’ve read, it seemed like they were bringing balance to a situation. We were getting all of these advanced weapons of war, and we were interacting with a negative force that wanted to go out and take over other planetary systems. 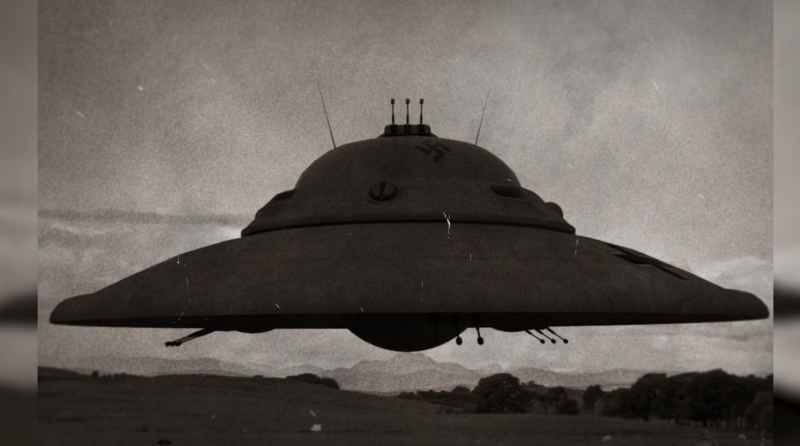 So them coming in, providing technology and more of a benevolent message on how to use the technology, was their way of trying to counteract it, because the technology was not that incredibly different than what the Germans were getting from the reptilians. David: How does it feel for you as a whistleblower who’s been out there risking your life . . . You’ve had all kinds of problems, all kinds of hardship and setbacks, and people have said that you’re a charlatan, a liar, a fake, etc. How does it feel to see William Tompkins validate Operation Highjump? 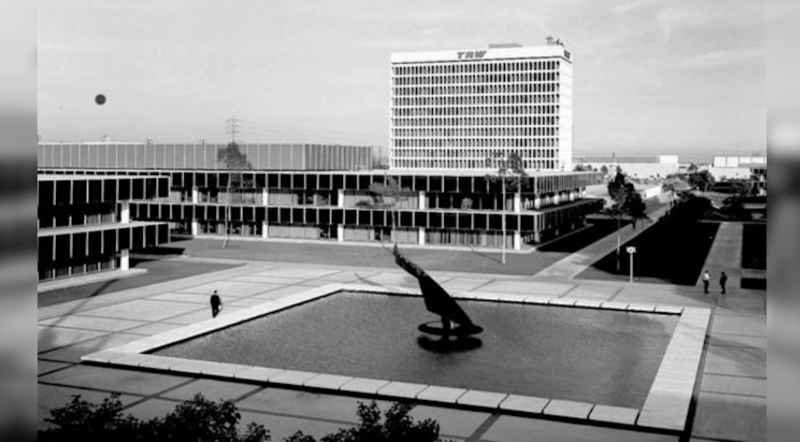 Corey: It’s gratifying, but a little shocking, too, because, I mean, I’m really beginning to believe that a lot of his briefings during the time period – ’42 – were what made it into the database that I was reading on the smart glass pad, you know, like 30 years ago. David: Right, because as he said, there was a stenographer that was there typing up everything that these 29 different embedded spies said over the course of 1,200 briefings. And that was just the ones that Tompkins personally supervised. Corey: Yes, and we were viewing old typeset documents. David: I didn’t know that. Okay. David: So you would actually see the original typewritten paper documents? Corey: Yeah. Yeah. Well, there were redactions, but very little redacted. David: Wow! So when he said that there were unmarked craft as well as German craft, and this included cigar-shaped craft . . .
Corey: That was new to me. I had not heard that. Corey: But I wouldn’t doubt it, because if they’re allied with the reptilians, and we come down to an area that’s mostly reptilian-controlled, of course, they’re going to come out and back up their new ally. 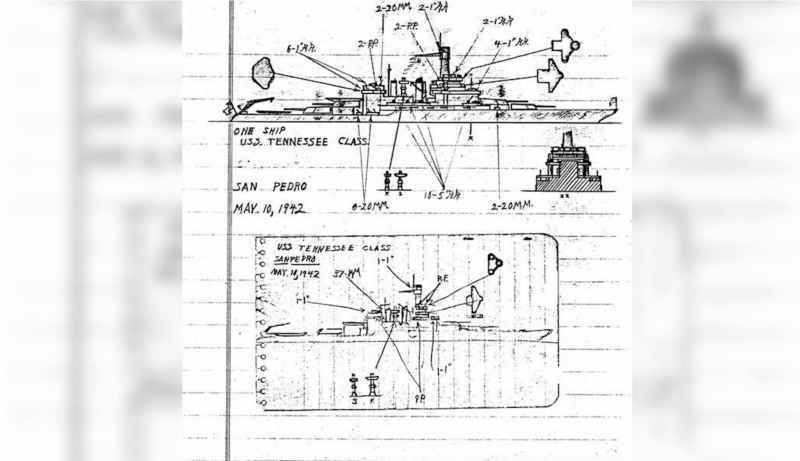 David: Now, another thing that I find absolutely shocking – and I would hope that you watching this at home will dig this as well – is how he said that two main areas were like leftovers and were given to the Americans [Transcriber’s note: I think David means ‘given to Germans’ not ‘Americans’] underneath the ice in Antarctica, in addition to these much larger Draco areas – that there were three, very large Draco areas. 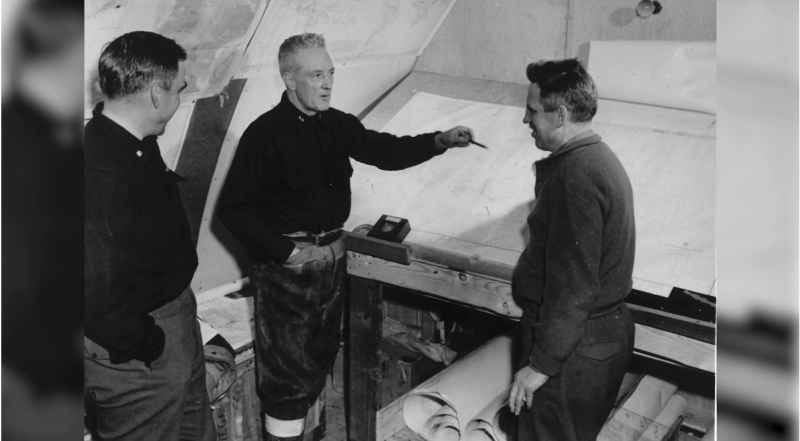 Now, you’ve independently – before this ever happened, before you knew about Tompkins or I knew about Tompkins – had said that there were two major areas underneath Antarctic ice, and then some smaller ones as well. David: So what does it feel like, again, to be seeing so much precision in the line-up of these testimonies? Corey: It makes me hungry for more. Corey: You know, I’m ready for more from Tompkins and more from some of the whistleblowers that we hear are starting to come forward. So it was exciting, but we need to hear more. This is great. David: So we’re seeing independent, verified testimony of Operation Highjump. All the things that you said, showing up very paralleled, in which Byrd goes down there with this huge army. We have these – it appears to be – Draco and Germans that are striking against them, and they are very, very heavily-damaged, and they have to limp back. Corey: Yeah, they were crippled. David: So this is really very tightly-aligned with what you saw in your own briefings. Corey: Yes, and I guess I was reading what Tompkins and his group had reported. David: I just think it’s important for people to understand watching this at home that I can’t bring out some people that I know, but I have other folks who are saying exactly the same stuff that you’ve said, that Tompkins has said, that others have said. And it’s when you get this many different sources that are all telling us the same thing, that you now have veracity. You have proof. So the proof is not all the way as far as people want it to be, but we’re getting closer and closer all the time. Corey: Well, a lot of these skeptics, if one of these craft were to land in front of them, would still be in denial. David: All right. Well, this has been really fascinating. I want to thank you for watching our show. This is certainly mindblowing. After all this time, people say, “Oh, Corey has no validation.” Well, what you’ve just seen here is a gamechanger, and I encourage you to tell everybody you know about this, because now that we’re bringing this all together, maybe a lot of people who wouldn’t have taken this seriously before are going to take a second look. And we do need your help. We need as many people as possible to educate themselves about this. As Corey just said, it’s vital to humanity’s future that we no longer act as ostriches, that we have the awareness of what’s really going on. This is “Cosmic Disclosure”. I’m here with Corey Goode and William Tompkins. I’m your host, David Wilcock, and I thank you for watching. Posted in Corey Goode, Cosmic Disclosure, David Wilcock, The Event, William Tompkins.